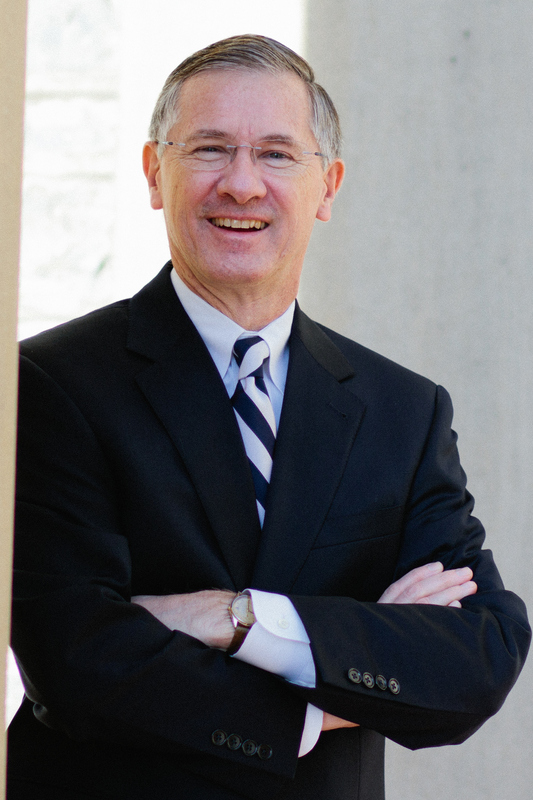 Rodney Kirsch, Senior Vice President for Development and Alumni Relations at Penn State University, is one of the consummate professionals in our field. Many thanks to Rod for participating in the “5 Questions” series. His perspective on the future of advancement and reflections on the Jerry Sandusky scandal are incredibly enlightening. 1. You have effectively integrated development and alumni relations at Penn State. How have you done this and why? Some 17 years ago, I inherited a strong program at Penn State in both development and alumni relations. There’s been structural integration for several decades. The Executive Director of the Penn State Alumni Association reports both to me and to the Association’s volunteer president. The E.D. is a senior member of my team and participates in discussions with other senior staff. An org chart alone, however, doesn’t win the day. Staff resources in areas like financial management, donor and member services, human resources, and information systems serve both Development and Alumni Relations. Staff, volunteers, trustees and academic leaders need to understand, appreciate and respect the work done in both alumni relations and development. This understanding requires constant education. The constant engagement of our constituents via numerous and diverse avenues is terribly important to advancement success. Traditionally, the philanthropic cycle has been thought of the 4 “I’s” and an S–identify, inform, involve, invest and steward. Those phases of engagement need to be a responsibility embraced and undertaken by both alumni relations and development staff. The distinctions between “friend-raising” and “fundraising” are increasingly artificial and meaningless. Unquestionably, the vigorous engagement activities conducted by the Penn State Alumni Association and, its service to a membership of nearly 175,000 members, have had a strong role in fostering more than 72,000 alumni donors contributing $88 million this past year. 2. What is the future of alumni relations (particularly in the context of membership)? No one has a crystal ball on the future of membership. Different pricing models and payment plans may emerge based on age or other demographics. Some large publics have abandoned the membership model and declared everyone a member. That’s okay as long as the host institution or an institutionally affiliated foundation provides replacement funds to sustain alumni relations at a high level. However, to forgo membership revenue without other replacement funds will ultimately lead to erosion in both alumni service and financial support of the institution. At Penn State, we continue to see modest incremental growth year to year in membership, but it is earned the old fashioned way. Our membership team has put tremendous ingenuity, energy and resources into driving revenue. There will be a growing trend toward merging similar functions across alumni relations, development, and university marketing and communications. Competition for student tuition, state appropriations, private funds and federal grants will cause institutions to sharpen their overall message and institutional brand. Every office with a communications function will need to be on the same institutional page when representing our universities. In this increasingly competitive environment, every alumni relations program will be under the gun to demonstrate its value to the academic life of the institution and will be asked more directly what does success in an alumni relations program look like and how do we measure it? 3. Advancement continues to move to the forefront with higher education’s many changes and challenges. How is the role of VP for Advancement (or in your case, Senior Vice President for Development and Alumni Relations) evolving? It’s certainly more complex than it was 25 years ago when I began managing people and programs. It’s not only alumni programs which will need to measure their impact on institutions. Development will have to do the same. There has been tremendous growth, the doubling and tripling of staffs in 10-15 years or less, in many fundraising programs among public universities, but I predict that this growth in expenditures will slow or flatten. While Development will continue to provide a good return on investment, university foundation and governing boards will ask harder questions about ROI. How are those resources being applied? What metrics are we using for judge individual performance? Are we sorting out the weak performers? The pressures which face the current higher education business model, in general, will be even more pronounced in advancement where so much of what we do is indeed quite measurable year to year. 4. In reflecting on the Jerry Sandusky scandal, what lessons can other advancement colleagues take away from your experience? How did you strategically approach the process of communications and relationship-building (or perhaps re-building) with alumni and friends? I am quite convinced that nothing could have adequately prepared us for the stunning and unprecedented series of events of November 2011–the arrest of a heretofore community hero and former coach on multiple charges of pedophilia, the indictment by the PA Attorney General of two high level university officials on perjury charges; the removal from office of a popular president; the dismissal of an iconic coach announced live on national television, and a media frenzy unlike any of us had ever witnessed–all within the first four days of the crisis. In the midst and aftermath of these events, the staff in alumni relations and development were on the front line, being asked many questions by volunteers and donors to which they had no answers. They performed heroically under tremendous adversity. I have never been more proud of a group of individuals. To the extent possible, I was in frequent contact with the leaders of my team, several times a day early on, certainly weekly as time evolved. I held numerous town hall sessions for my staff. In retrospect, I think all of this internal contact was useful. The first lesson–be aware of the emotional, psychological, and physical well-being of your team. Offer professional services to address these various stresses. The second lesson–you can’t communicate early or often enough during a crisis–we tried to refresh talking points often and provide updates whenever possible. The development team increased its personal contact rate with donors and prospects over the prior year. The third lesson–stability is at a premium in turbulent times. Against the backdrop of tremendous change in leadership within the university, I pledged to our entire Division my intention to stay at Penn State. I knew quite clearly what my mission was for the foreseeable future–providing leadership, stability and guidance to a great university– and doing such to the best of my God-given ability. 5. Are there any other lessons learned during this process that have made you a better leader as a result? Share both the good and bad news–you can’t just cherry pick for the media only the facts which make you look good. Focus on your core mission and purpose–we couldn’t have been better served than having our $2 billion campaign focused on students–For the Future: The Campaign for Penn State Students. Donors responded to this message very positively. Answer every inquiry, complaint and suggestion you receive–nothing upsets an already upset person more so than ignoring their viewpoint. Be prepared to shelve projects–we delayed certain solicitations, but kept many events scheduled. Rely on your instincts–most of the time they will serve you well. And finally, never underestimate the resiliency which exists within our great universities and within the hearts of those who make up our extended university families–alumni, students, staff, faculty, parents. Adversity indeed can bring out the best of each individual and every institution.